It was only recently that, for the first time in over forty years, horse-drawn carriages again appeared on the streets of Paris. 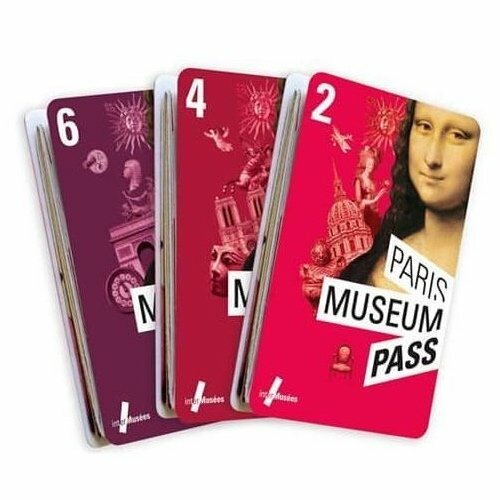 Now you have the chance to experience what it was like when Paris was a horse-powered city. A carriage ride is quite a unique — and romantic — affair. We've lined up what we think are the best options. While a 4-person carriage tour makes for a wonderful family activity, we tend to think of it as more fairy-tale like, layered with romance. We suppose we think that way because of the options for rides featuring champagne, flowers, and even an opportunity for a marriage proposal. 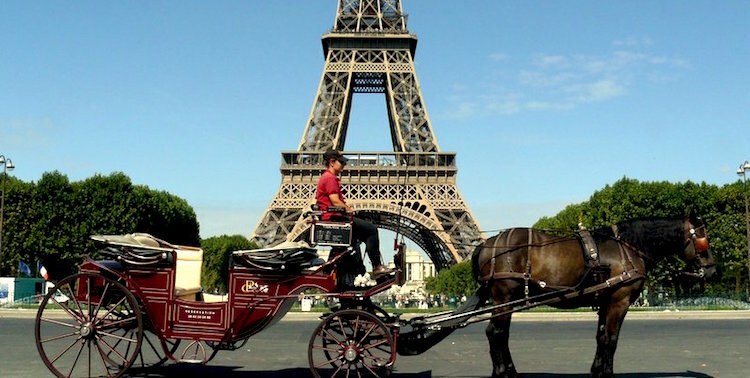 Let's look at some Paris horse and carriage activities. 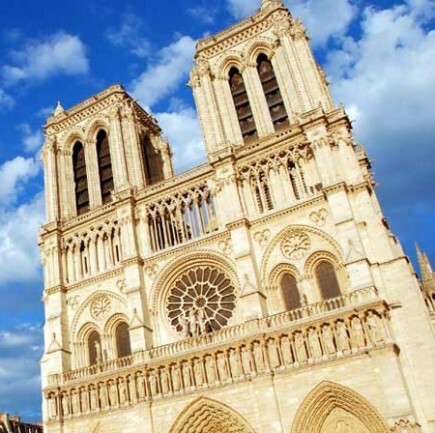 This one-hour ride past the iconic monuments of Paris is perfect for romance, but it's also a good choice for a family, two couples, or a group of friends. 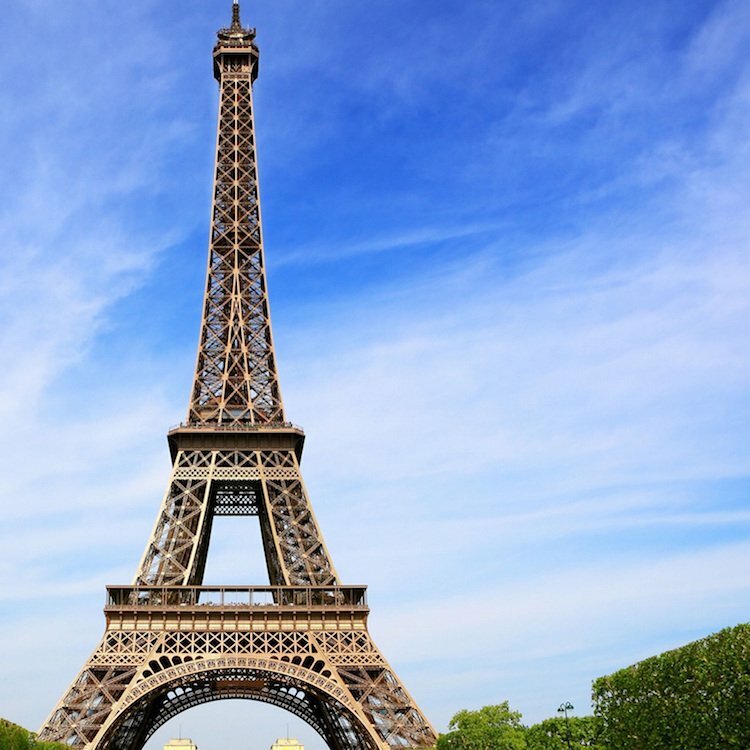 The ride begins at the Eiffel Tower (where there are plenty of opportunities for some memorable travel photos) and takes you at a slow trot past the Arc de Triomphe, along the Champs Elysées, around past the Grand Palais and Petit Palais and across the bridge to the Trocadero. If you choose the hour-and-a-half ride a bottle of champagne is included! Absolutely amazing!! The best way to see the sights and with a glass of champagne! The guide was also fabulous. Highly recommend this." 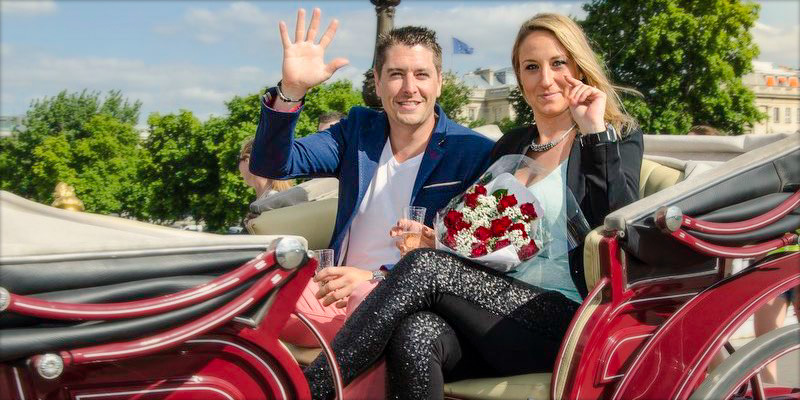 If you want to spend time in Paris with someone special, perhaps to ask a certain question, there's nothing quite as romantic as one of the horse and carriage rides that come complete with champagne. There's no place better for one of life's very special moments than the most romantic city in the world. Our top recommendation for romance or a proposal is the 6 PM, 1½ hour ride that includes a bottle of champagne. Everything is arranged for you; all you have to do is show up with your beloved. Carriage rides are available from Wednesdays to Sundays.